If one looks at a map of the ‘lost’ distilleries of Scotland it may seem that the Scottish islands have escaped relatively unscathed. This is, of course, in part due to the fact that there were never too many distilleries there in the first place, and secondly, much of the distilling that was carried on in island communities took place without the tiresome formalities of licences and documentation. 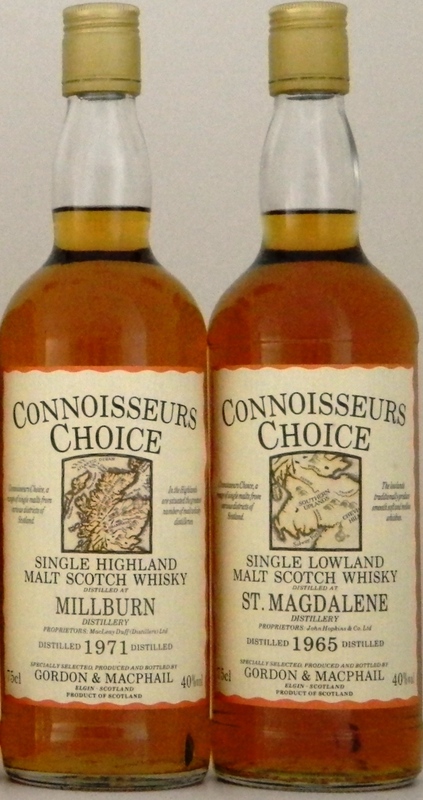 Two islands which would appear to have acquired their first licensed distilleries in relatively recent times are Arran in the Inner Hebrides and Lewis in the Outer Hebrides. A distillery opened for business at Lochranza on Arran in 1993, and has gone on to establish a reputation for seriously good whisky, while the jury is still out on the comparatively youthful spirit of Lewis’ Abhainn Dearg distillery, which opened in 2008. Yet both islands once boasted licensed distilleries, with Lagg in the south of Arran being the last of three legal distilleries on the island, operating between 1825 and 1837, though it has been reported that some 50 illicit distilleries were working on Arran during the early 19th century! Lewis was also renowned for its illicit distilling tradition, which some say has not entirely died out in the more remote parts of the island, but a licensed distillery operated in the capital of Stornoway from 1825 until 1840. Both it and Lagg were clearly established in the optimistic years following the 1823 Excise Act, which incentivised legitimate whisky-making. Three significant island distilleries were lost during the economically harsh years between the two world wars, namely Stromness on Orkney, in the north, and Lochindaal and Port Ellen on the ‘whisky island’ of Islay, though Port Ellen was to enjoy a second role of the dice between 1967 and 1983. 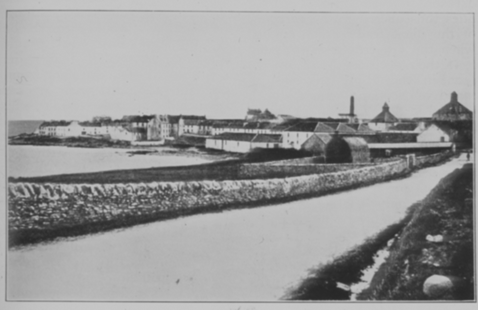 Today Orkney is well-known for is Highland Park and Scapa distilleries, close to the island capital of Kirkwall, but apart from these two survivors, there were as many as six licensed distilleries in and around Kirkwall during the 1820s and two distilleries in Orkney’s second-largest town of Stromness. One of the Stromness pair only operated from 1825 until 1831, but the principal Stromness distillery lasted from its establishment in 1817 until 1928. It was located close to the harbour, and was initially licensed to John Crookshanks, and though named Stromness distillery, the whisky it produced was sold for many years as Man O’Hoy, after one of Orkney’s most distinctive landmarks, the red sandstone sea stack off the island of Hoy. Stromness was in the hands of no fewer than six individuals before closing in 1867, but 1878 saw it restored to use by the Macpherson brothers, who renamed the distillery itself Man O’Hoy and marketed its whisky as Old Orkney, or ‘OO’. The Macphersons ran Stromness distillery until it was acquired somewhere between 1900 and 1910 by Belfast-based J&J McConnell Ltd, who operated it through their McConnell’s Distillery Ltd, London subsidiary. However, the harsh economic climate of the inter-war years forced its closure in 1928. It was subsequently owned for a time by Booths Distilleries, but the distillery buildings were demolished during the 1940s, and ultimately replaced by local authority housing. Barnard continued by noting that “The Whisky, which is Highland Malt, is principally sold in Scotland, where there is a good demand for it, and the annual output is 7,000 gallons.” To get a sense of just how ‘boutique’ the enterprise really was, it is worth noting that Barnard records 50,000 gallons being distilled per annum at Highland Park. Islay has long been home to more licensed distilleries than any other Scottish island, and Alfred Barnard visited nine licensed facilities when his travels took him there. Today Islay boasts eight distilleries, with another in the shape of Gartbreck currently under construction near Bowmore. Of Islay’s ‘lost’ distilleries, Lochindaal distillery was founded during 1829 in Port Charlotte village, on the shores of Loch Indaal, initially operating under the name Port Charlotte Distillery. The facility was making 128,000 gallons of spirit per annum during Barnard’s visit, which compared with Lagavulin’s 75,000 gallons and the 250,000 gallons being produced by Ardbeg at the time. In 1920, Lochindaal’s owners JF Sheriff & Co were bought out by Benmore Distilleries Ltd, and nine years later they suffered the same fate as many struggling distillery ventures during the prevailing economic depression, being purchased by the Distillers Company Limited (DCL), which immediately closed Lochindaal. The plant was subsequently removed, but some of the buildings continued to be utilised by the now defunct Islay Creamery until the 1990s, while others were taken over by a garage business and by Islay Youth Hostel. 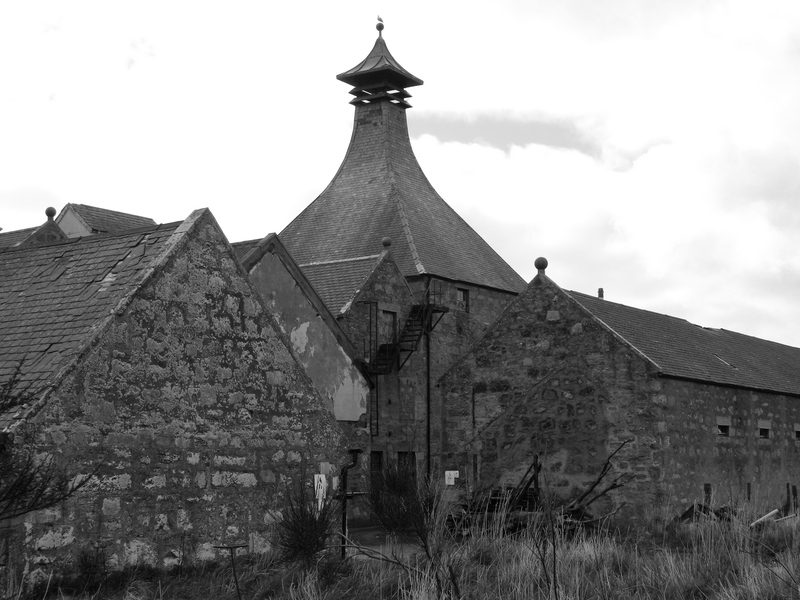 Two substantial, stone-built warehouses have remained in use for the maturation of spirit. In the south of the island Port Ellen distillery was established in 1825. Port Ellen has a number of claims to fame, not least as the location where Septimus Fox’s spirit safe was tested and refined during the early 1820s. At the invitation of owner John Ramsay, both Aeneas Coffey and Robert Stein also carried out research work at Port Ellen, aiding the development of the continuous still. Port Ellen distillery remained in the Ramsay family until 1920, when it was acquired by the major blending companies of James Buchanan & Co Ltd and John Dewar & Sons Ltd. Port Ellen passed to DCL when Buchanan and Dewar merged with that organisation in 1925 and in 1930 the distillery closed, having been transferred to the DCL subsidiary Scottish Malt Distillers. 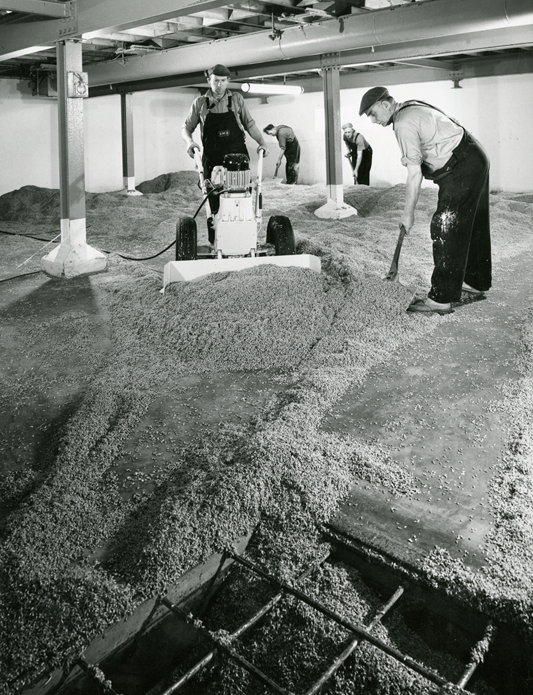 Unlike so many of its counterparts, however, Port Ellen was granted a second lease of life in 1967, when the distillery underwent an 18 months-long, £400,000 rebuilding programme, during which the plant changed quite dramatically, both internally and externally. It finally became operational one again in April 1967. Six years later, the village of Port Ellen was transformed by the construction of a vast new mechanised maltings plant beside the distillery, and as a result, the old floor maltings at DCL’s three Islay distilleries of Port Ellen, Lagavulin and Caol Ila subsequently closed. Sadly, it was only a decade later that Port Ellen distillery fell silent once again. Port Ellen was probably selected as the most expendable of DCL’s Islay distilleries because its make was less popular with the blending trade than either Lagavulin or Caol Ila. In the early 1980s, Islays were very much blending whiskies, and it would have taken a remarkable crystal ball to foresee that one day Islay single malts would enjoy international cult status. In 2005 owners Diageo demolished the sections of Port Ellen distillery dating from the 1960s rebuild, leaving the maltings and two early pagoda kiln roofs in place, along with a sea-front range of stone warehouses, which serve as a reminder of Port Ellen distillery’s productive days. While the existence of Lochindaal and Port Ellen distilleries is familiar to many whisky aficionados, more obscure is the story of Malt Mill, whisky from which features prominently in director Ken Loach’s 2012 movie The Angels’ Share. In the early 1900s, Lagavulin, some two and a half miles east of Port Ellen along the southern Islay shore, was owned by Mackie & Co (Distillers) Ltd, whose company produced the best-selling White Horse blended Scotch whisky. 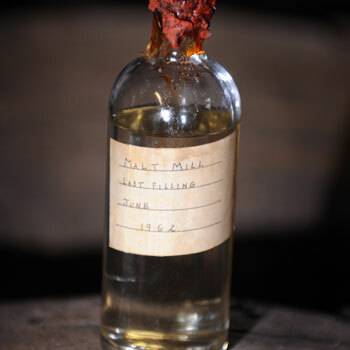 White Horse’s Peter Mackie also acted as sales agent for nearby Laphroaig, and when he lost this role due to a disagreement over water rights, Mackie decided to make his own version of Laphroaig by way of retaliation. Accordingly, he constructed a small distillery named Malt Mill within the Lagavulin site during 1908. 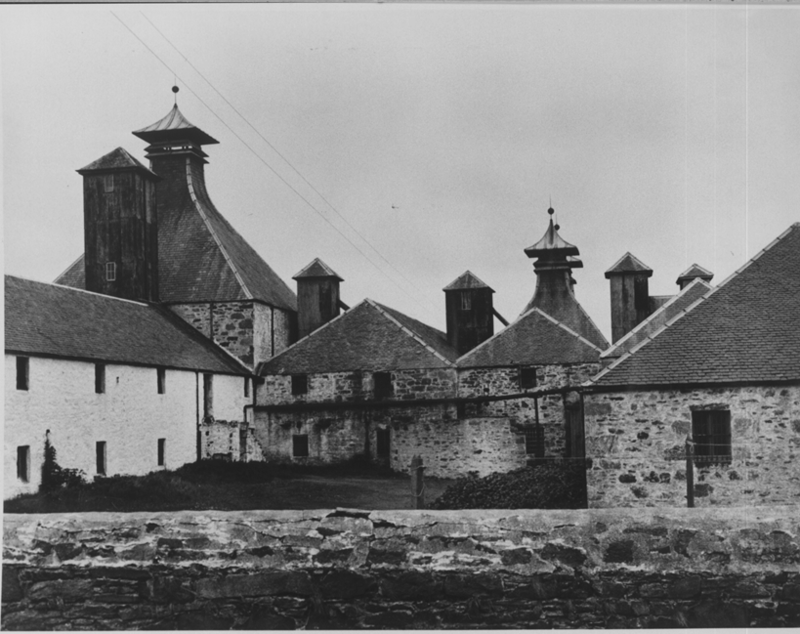 Despite Mackie’s efforts, Malt Mill never seriously rivalled Laphroaig, but the distillery survived until 1960, when production ceased, and two years later the plant was dismantled and its pair of pear-shaped stills were transferred to the Lagavulin still house, where they saw another seven years of service. The site of Malt Mill is now occupied by the Lagavulin visitor centre. Islay is also noted for a proliferation of farm-based distilleries, many of which had their origins in illicit operations. A number of these small-scale distilleries were established, or legalised, in the wake of the 1816 Small Stills Act, which encouraged legal distillation. The now lost distilleries of Ardmore (later absorbed into Lagavulin), Ballygrant, Bridgend, Octovullin, Octomore, Newton, Scarabus and Tallant all dated from the years following the Small Stills Act, while the 1823 Excise Act once again led to a spate of new Islay distilleries. 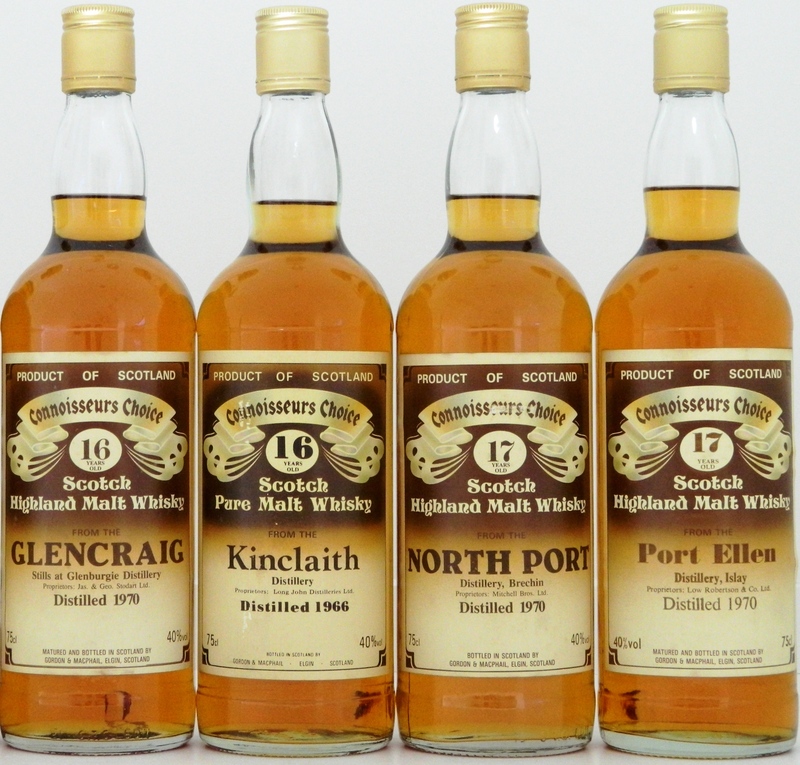 These included Glenavullen, Lossit and Mulindry as well as the larger Port Ellen and Lochindaal distilleries, along with Ardenistiel, which was ultimately incorporated into the Laphroaig site. The tradition of small-scale, farm-based traditional Islay distilleries was given a boost by the creation of Kilchoman distillery, which commenced production in 2005 at Rockside Farm, not far from Bruichladdich. Gartbreck distillery promises to follow in the same footsteps, even boasting that distillation will be carried out using a live flame – something to warm the hearts of old-time distillers all over the islands of Scotland. Highland Park Valhalla Collection – Collectable or not? When Highland Park released the first of the Valhalla collection it was greeted with wildly conflicting reactions. 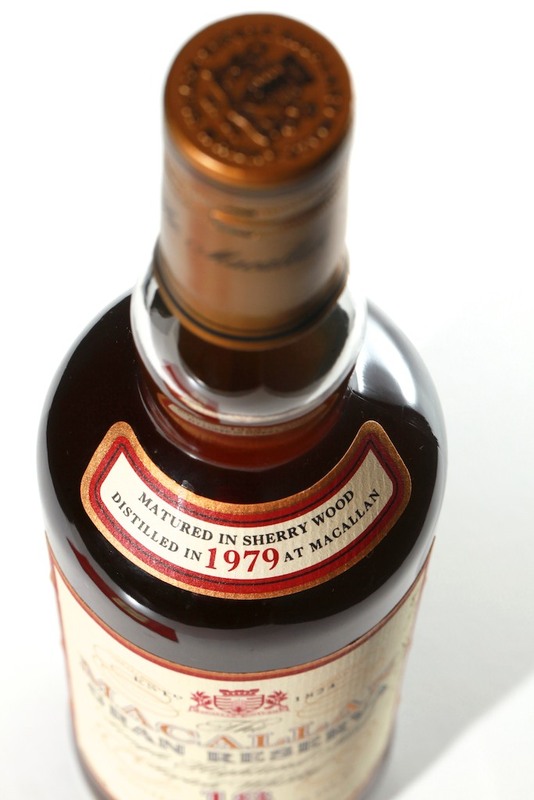 Many disliked the packaging… and the price… and even the whisky. 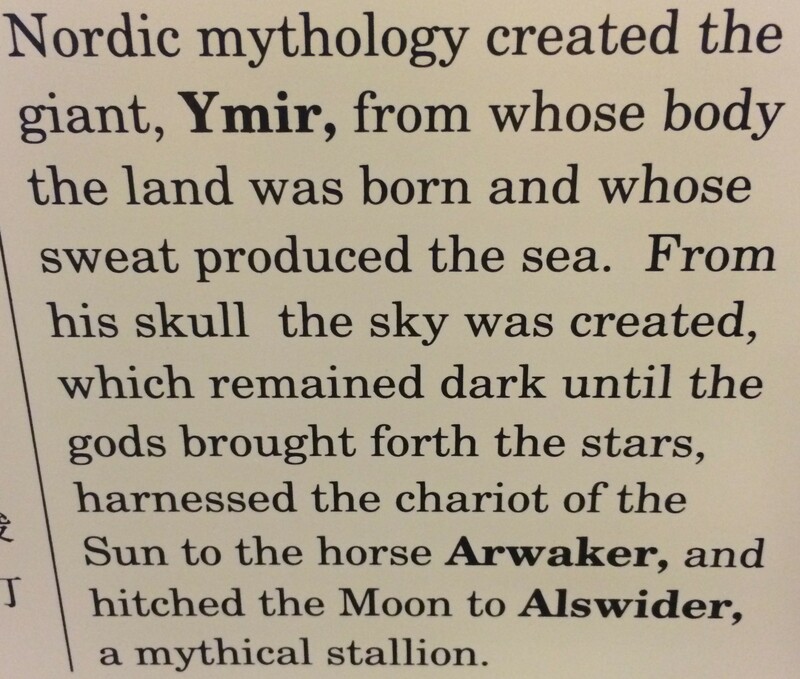 I remember my reaction when I first saw Thor in all its glory; I really REALLY disliked it. I also remember my wife’s reaction when she first saw it, she thought it was amazing, cool and contemporary. It got my wife talking about whisky… which was great as she hates the stuff (other than 1979 Balblair! ), all I usually get is “not another bottle(s) of that stuff, how much have you spent now!”. Hat’s off to HP for getting a rare positive whisky-response from Mrs S! From my perspective, as a long-standing Highland Park collector, it was ultimately the packaging which stopped me from opening my wallet to give the moths their annual dusting down. I wasn’t overly keen on the liquid either, but again that’s a purely personal thing, I know many who rate it highly. Thor stayed on the shelves for some time and secondary market values moved lower than its original £120 retail price. For many months is was a complete flat-liner, dead as the proverbial Dodo. Three years later and the series finale, Odin, is a resounding retail success selling out in record time in the UK (HP tell me it’s still to be released in certain markets). As a set, is it collectable and what’s happening to secondary market values now the primary market has been all but expunged of the Norse Gods and their ‘big’ packaging? Thor = 23,000 bottles released and cost £120. Loki = 21,000 bottles released and cost £120. Freya = 19,000 bottles released and cost £140. Odin = 17,000 bottles released and cost £180. These are clearly limited but not that limited. If there had been 1,000 bottles it would have sold in a heartbeat. That said, at the other end of the scale, we should also not forget there were 60,000 Glenfiddich Snow Phoenix’s released and they’ve moved from a £50 retail price to £220 – £250 at auction. The chart below shows the separate indexing of the first three releases. Following Loki’s release, other than a spike and re-trace for Thor, there was still very little activity. Then the collection took off, or rather Thor did, with some exceptional spikes which defy rationality. 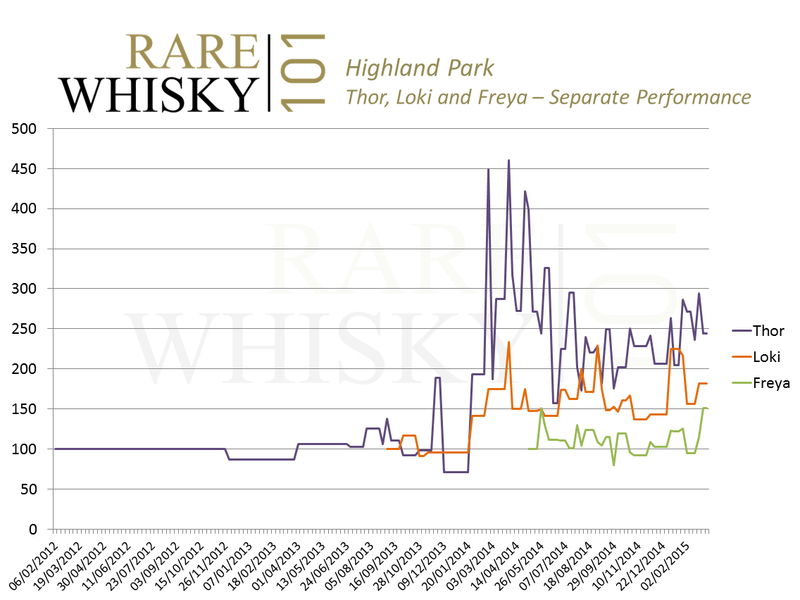 Thor peaked at £600 in April 2014, some 400% over its retail price, it’s since settled down to around £310 (although the recent Scotch Whisky Auction saw c£370 per bottle). Unlike some collections/bottles which have a very uniform/smooth growth curve, the Valhalla collection is very spiky with huge peaks and correspondingly large troughs, which, over time should smooth out as supply hardens. Taken as a pure figure against original RRP’s, the first three releases cost a combined £380. In todays market they’re worth £780, a 105.26% increase in value. 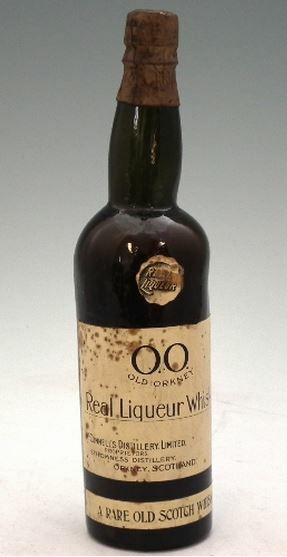 With the first UK auction sale of Odin for £360 earlier this month, it looks like these bottles could have legs. Looking at the first three releases as a combined index since May last year gives a little more indication as to the short term picture. Cutting out Thor’s previous spikes, the trend-line looks relatively stable with more recent positive movement. I see this growth trend continuing for the set. The rate of growth should also increase as more bottles are consumed and fewer become traded. The first three releases also haven’t had the classic ‘new release curve’ style volatility (where the first few bottles at auction achieve huge prices which quickly cool as more supply emerges). That suggests demand was far less frantic than for the likes of the Macallan Royal Marriage etc. One of the reasons I see a continuing up-trend is that we are very definitely seeing classic new release curve action with Odin. The first UK sale achieved double its retail price. The next tranche of bottles on the open market are already at £250 – £270 (there are 14 of them at Just-Whisky right now). This shows demand for the ‘set-completing’ Odin is significantly greater than for the first three. Odin’s fewer bottles released will also contribute to this demand. In the short term, for those wanting Odin on the secondary market, patience is usually rewarded. We could see huge numbers of bottles hitting auction over the coming months. That in turn should soften prices. 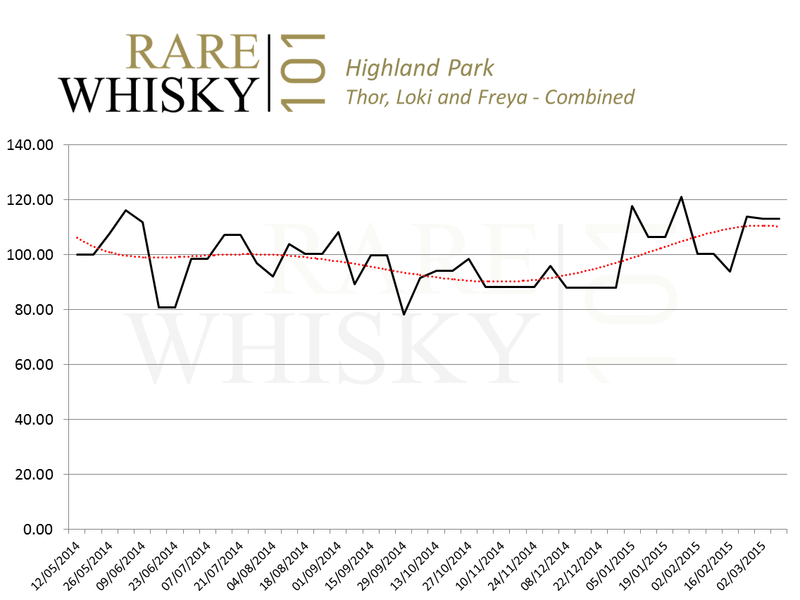 A bottle of Thor sold for just £90 as recently as December 2013. As the Valhalla series has drawn to a close the question becomes, what next? We’ve had the Magnus trilogy and the Valhalla collection. My well-travelled co-director David snapped this on his travels recently. Is this destined to be the next Highland Park trilogy? Originally, following Thor’s release, I didn’t think the Valhalla collection would perform to any great degree on the secondary market. It appears this master-class in modern marketing has proved me wrong! Annandale – The Million Pound Cask – The Ultimate Investment? In April 2004 Stephen Jupe was found guilty of fraud. In May 2004 Jupe was sentenced, at Soutwark Crown Court, to five years behind bars. This was to be the fitting closure of a lengthy investigation into the Marshall Wineries/Grandtully Distillery whisky (and wine) investment fraud in the mid/late 1990’s. Full details can be read on the Serious Fraud Office’s website here. Company fraud was High on the list of convictions but alongside that was clear reference to overpricing of casks of new-make spirit sold specifically as an investment. Hogsheads were being sold for £930 – £980 per cask, way over their market value at the time. Wind the clock forward a few years and we have the first cask of new-make spirit being offered for sale for £1,000,000. 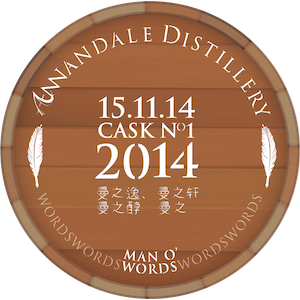 That’s right, newcomer, Annandale distillery is offering its cask number 1 for a cool one million pounds. Asking any amount of money for something is fine in my book. In a free market anyone can ask any sum of money for anything they want. Ferrari’s new “La Ferrari” is £1,000,000, there are plenty of houses for sale for well over that amount, paintings, jewellery, land…. Almost as many things as I can think of. This issue I have with this particular ‘ask’ is that it’s also being offered as an investment. “For the ultimate collector, investor or whisky connoisseur. There is a once in a lifetime opportunity to own cask number 1 which was filled with great ceremony on November 15th 2014. This is offered for sale at a price of £1million” and “Even if you are no whisky connoisseur, you may choose to purchase a cask as a shrewd investment” claims Annandale’s website. A claim I find quite frankly frightening. It doesn’t stop there either. Highlighting just two more of their cask offers – Cask number 40 is £800,000 and Cask number 47 (that well known lucky number!!) is £300,000. Usually, when something is offered as an investment it’s backed up with historical figures, charts, background and (however spurious it may seem) the reason why the commodity is considered an investment. All with a clear overarching principle statement that past performance is no guarantee of future growth. As far as I’m aware, this is the first ever cask to be offered for sale for this amount of cash with no past performance at all. The only real gauge for high value casks was a cask of 1991 Macallan which sold for just shy of $2m HK (around £160k) at auction last year. £160,000 is a massive amount of money for one cask and that was relatively well aged Scotch from the hugely desirable Macallan distillery. I genuinely don’t understand how this can be advertised as an investment? It’s a cask of high strength distilled spirit which, if it’s left long enough, will officially become Scotch whisky in November 2017. Okay, so this cask is indeed a one off then. Surely the best Scotch distilled in Scotland EVER? Bearing in mind it’s actually not Scotch for another few years who knows? It might be brilliant but equally, it might fail. A buyer is being asked to ‘invest’ in something which has no provable quality. Be it good, bad or indifferent, nobody can be sure what it will be like in three, ten, twenty or even forty years. With all the best known premium distilleries there’s a history of production and an in depth understanding of maturation, usually backed up by a vastly experienced, respected master distiller/master blender (Richard Paterson, Bob Dalgarno, David Stewart and Jim Beveridge to name four such icons). Maybe the distillery simply don’t want to sell these casks? I would understand that – The owners want to hang onto their first few babies so much that an ‘offer they can’t refuse’ would be required to make them part with their casked offspring. But I don’t get that feeling here. One of the distilleries founders, David Thomson, said to The Scotsman “The price tag is high, reflecting that this is a once in a lifetime opportunity for someone to become a part of Scottish history and to own the Scottish whisky industry’s most valuable cask”…. The Scottish whisky industry’s most valuable cask? A bold claim indeed. Most expensive cask? Undoubtedly! As we all know, simply being expensive is no guarantee of either quality or future increases in value. I would have said that particular badge of honour would go to something being lovingly stroked by The Macallan, Dalmore, Balvenie, Port Ellen, Brora… or something in the ‘intensive care’ area of Gordon & MacPhail’s extensive portfolio…. Apparently these are all second fiddle. It’s official then… the most valuable cask of Scotch is actually new-make from a new distillery…. Really!? Put aside the fact that this cask boils down to – c200 bulk litres of some stuff distilled from some malted barley and put in some wood for a bit – and it still comes down to it being marketed as an investment that’s the issue for me. For a collector… I get that (if you collect number one casks from new distilleries). For a connoisseur… I even get that (it better be the best ever, ever, ever). But as an investment? I could say caveat emptor here… buyer beware… but I’d rather just say in my opinion this is the single most risky investment I’ve ever seen. Taking a punt on a bottle of Macallan’s one thing but a million pounds for just one cask seems to stretch the meaning of speculative. Annandale very kindly informed me (following an enquiry to make sure the numbers were correct & I wasn’t misreading the price in any way) that the prices are correct; however, 2015 production is for sale for £2,100 for a cask of un-peated and £2,300 for a cask of peated new-make which in the current market actually looks good value in comparison with other new distilleries cask prices… an additional £997,700 buys you a stencilled ‘number 1’ and some Chinese dual branding… What the hell am I complaining about! I say let the open market decide what this cask is worth. 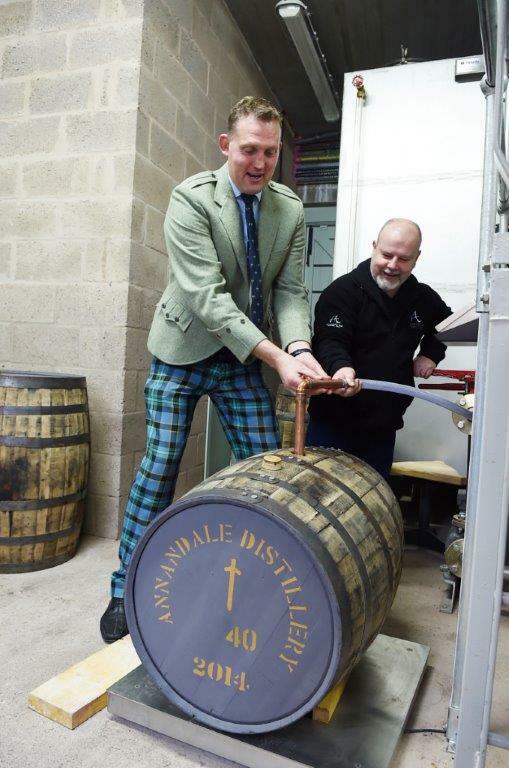 If it were put to auction it would fetch its true value, we would really find out if Annandale’s cask number 1 is the “Scottish whisky industry’s most valuable cask”. Exports of blended Scotch to the USA were a major contributor to the renewed health of the Scotch whisky business in the years following the Second World War, and between 1959 and 1966 grain production in Scotland rose from just over 41 million gallons (186 million litres) to almost 90 million gallons (409 million litres). The malt sector’s on-going expansion also continued, with output growing from 29 million proof gallons (131.8 million litres) in 1963 to 51 million proof gallons (231.8 million litres) in 1967, and new capacity was created in a diverse range of geographical locations. Despite all the individual distillery creations and expansions, a significant part of the overall increase in malt capacity during the 1960s was due to the Distillers Company Ltd (DCL), which embarked on a programme to augment output at many of its existing distilleries. Indeed, between 1959 and 1967 DCL increased the number of stills in its distilleries by more than 50 per cent, with major reconstruction projects being undertaken in some cases. However, economics difficulties began to develop as a result of the Arab-Israeli war in October 1973, which caused a major rise in oil prices the following year. The global economy faltered as a result, with US demand for Scotch fluctuating wildly during the next few years. Once again, enthusiastic expansion had caused supply to outstrip demand, and the press dubbed this surplus stock ‘The Whisky Loch.’ The Distillers Company Ltd was particularly hard hit, closing nine malt and one grain plant in 1983, followed two years later by a further 10 malt distilleries. Brora distillery – Gone but by no means forgotten. Malt whisky output had peaked at 207.660 million litres in 1978, falling to 93.383 million litres in 1983 – its lowest level since 1964. This “crash” in production helps explain the very tight supply for aged malts from the 1980s now affecting the 25 and 30 years old sector. The economic policies of the UK’s Conservative Government headed by Margaret Thatcher from 1979 led to a fall in inflation and greater business confidence, and globally the situation was also improving. As a result, output of malt spirit rose from 264.947 million litres in 1986 to 428.762 million litres during 1990, and Scotch began to find new markets in countries such as Brazil, Russia, India and China. The impetus of growth through the past decade has seemed unstoppable, and having spent £40 million establishing the vast Roseisle distillery near Elgin during 2009/10, in April 2013, Diageo announced an additional £30 million of investment in Speyside, including a doubling of capacity at Mortlach. Roseisle distillery – Affectionately known as the Death Star. Meanwhile, Chivas Brothers, having increased capacity at The Glenlivet by 75 per cent in 2010 with the creation of a new distillation unit, went on to enhance potential output at at Glenallachie, Longmorn, Glentauchers and Tormore distilleries in 2012, as well as re-opening the silent Glen Keith plant during April 2013. Overall, Chivas has committed £40 million annual capital expenditure on its whisky operations, the bulk of which is being spent on Speyside, most notably with the creation of a ‘super-distillery’ named Dalmunach, destined to rival Diageo’s Roseisle on the former Imperial distillery site. However, after Scotch whisky exports hit a record £4.3 billion in 2012 – an increase of 87 per cent in 10 years – the trend began to reverse, with a decline in sales, and the first half of 2014 saw a slump of 11 per cent, or £220 million in terms of value. The Scotch Whisky Association (SWA) blamed new anti-extravagance drives in China, the stronger pound and an economic slowdown in some markets for the decline in Asia and the Americas, previously two of Scotch whisky’s fastest-growing regions. Overall, the downturn principally concerns blended Scotch, with malts continuing to perform well. In 2013 malts sold more than eight million nine-litre cases for the first time, and in the USA, the volume of the malts market grew by 12.9 per cent. The USA and Asia Pacific are becoming increasingly significant malt territories, while there is an ongoing premiumisation of malts in France. Over a 10 year period, the global ‘Super premium plus’ malts sector has grown by 10.2 per cent Compound Annual Growth (CAGR), compared to an overall malts growth figure of 4.3 per cent CAGR. ‘Premiumisation’ is the key term here, as both malts and blends in what is termed the ‘Premium plus’ segment have outgrown the Scotch whisky category as a whole, increasing by 4.9 per cent CAGR in the last decade, compared to a sector rise of 1.8 per cent CAGR. Such statistics provide some comfort for the Scotch whisky industry, but by far the bulk of its sales are of ‘standard’ blends, and Diageo has blinked first in the face of headline figures, halting construction of a proposed £50 million malt whisky distillery at Teaninich, north of Inverness, as well as a £30m expansion of Clynelish distillery, construction of a bio-energy plant at Glendullan, and the planned £18m expansion of Mortlach distillery in Dufftown. To date the situation has really only caused the sound of quite muted alarm bells. What should, in theory at least, prevent too much pain for the Scotch whisky industry this time around is the sheer geographical spread of its spheres of operation. 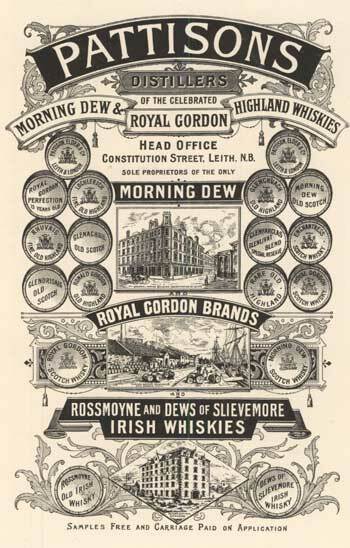 1900 was a pivotal year for the well-being of the Scotch whisky industry. Unprecedented growth of whisky production during the late Victorian period had led to the creation of 33 new distilleries in the last decade of the 19th century alone, while many others were extended and modernised. As the decade progressed, investment in whisky came to be fashionable, with banks lending money for speculators to acquire both stocks of maturing whisky and distillery shares. Blending companies spent money both on the acquisition of speculative stocks and new distillery projects. Output of Scotch whisky had peaked in 1897, when 35.76 million gallons were produced, and the largest number of working distilleries during the second half of the 19th century was reached in 1899, with 161 in operation. Moss and Hume (The Making of Scotch Whisky) write that “Stocks were built up…to ridiculous levels…The annual increase in stock warehoused in Scotland rose from just under 2,000,000 gallons in 1891-2 to 13,500,000 gallons in 1897-98 and 1898-9 net additions to stock amounted to 40 per cent or more of total output.” The rise in production of pot stills was largely paralleled by the patent still producers, and grain whisky output rose from 9,400,000 gallons in 1886 to nearly 21,000,000 gallons in 1900. Outwardly, the Scotch whisky industry had never looked in ruder health, but all good things come to an end, and the years of plenty were soon to cease. The crisis was to be precipitated by the actions of R&W Pattison, a Leith-based firm which had been established in 1849. In 1896 the partnership became a public company, with the two Pattison brothers owning all the ordinary shares and 25 per cent of the preference shares, and they were also paid some £150,000 in cash. Such was their level of expenditure and outlay, however, that despite this large injection of capital, in order to remain in business, the brothers had to resort to selling stock which they bought back at inflated prices by obtaining bills of exchange which were then discounted. This resulted in greatly exaggerated valuations of their whisky. Amongst other dubious practices, the Pattison’s also over-valued property which they owned and, in order to maintain an impression of probity, paid share dividends out of capital. Inevitably, the whole facade would eventually crumble, and the firm collapsed spectacularly in December 1898. When formal liquidation proceedings commenced, it became clear that there was a deficiency of some £500,000, and available assets were worth less than half that sum. In 1901 Robert and Walter Pattison were convicted of embezzlement and fraud and sent to jail. The wider consequences of what became known as the ‘Pattison Crash’ were the bankruptcy of 10 individual companies with whom Pattison’s had done business, and a slump in whisky prices, affecting distillers, blenders and merchants throughout the industry. However, It seems highly likely that the failure of Pattison’s was really just the catalyst of the crisis, and ‘boom’ would have turned to ‘bust’ before too long in any event, as the level of stocks being accrued bore little relation to the level of sales. The Pattison’s were not alone in being determined to believe that the good times would last forever. In reality, the Pattison collapse and its consequences meant that the Scotch whisky industry saw no further growth in terms of distillery construction for half a century. The end of the Boer War in South Africa during 1900 led to a reduction of spending by the British government on armaments and war-related materials and services, which played a part in the onset of a period of economic depression during the early years of the new century. Overall Scotch whisky output had reached a peak of almost 36 million gallons in 1899, and by 1906 this figure had plummeted to below the 24 million gallons mark. Grain whisky production was particularly badly hit, falling from 21 million gallons to 12.5 million gallons during this period. By contrast, pot still whisky production fell far less than might have been anticipated during the early years of the 20th century, after initially dropping from an 1898 level of just under 16 million gallons to some 10 million gallons in 1900. However, this had more to do with accumulating stocks than consistent demand for the product. The quantity of stock held rose from almost 90 million gallons in 1898 to more than 120 million gallons five years later. While 159 Scotch whisky distilleries were operational in 1900, that number fell to just 15 in 1933, and US Prohibition (1920-33), an inter-war global economic slump, high UK taxation levels and two world wars all contributed to the relatively depressed nature of the Scotch whisky industry until more prosperous economic times arrived during the 1950s and beyond…..
Our regular features contributor, renowned whisky writer Gavin D. Smith, talks in detail about Silent Stills. Just like any other commercial activity, whisky-making is subject to highs and lows, periods of ‘boom’ and ‘bust.’ Usually these periods coincide with wider economic prosperity or recession for the nations involved. So it is with Scotch whisky that unprecedented levels of growth in terms of distillery expansion and new-build ventures during the Victorian era were followed by half a century of ‘bust,’ or at best stagnation. The whisky boom of the late 19th century saw no fewer than 33 new distilleries built across Scotland between 1890 and 1900, but the bubble burst around the turn of the century due to over-production. Two world wars and global recession – ‘The Great Depression’ – meant that no new distillery was constructed in Scotland between 1900 and 1949. Not only that but a significant number of existing distilleries fell by the wayside; many never to reopen. Distilleries had, of course, come and gone before, and it still possible to see the remains of the once mighty Kennetpans on the shores of the Firth of Forth, which closed in 1825. However, the first four decades of the 20th century gave us a body of well-documented ‘silent distilleries,’ and the remnants of many remain today. Speyside had been at the heart of late Victorian distillery construction, and despite the challenging times of the early 20th century, very few distilleries in the region fell silent forever. One notable example was Parkmore in the ‘malt whisky capital’ of Dufftown. which operated between 1894 and 1931, though its failure to re-open when better times returned to the distilling industry was largely due to historic problems with its water supply. Today, Parkmore remains externally one of the best preserved Victorian distilleries in Scotland, though it is really just a shell, with all distilling equipment long since removed. By contrast with Speyside, the great distilling centre of Campbeltown was permanently decimated during the 1920s and ’30s. At various times more than 30 distilleries operated in the remote Argyllshire port on the Kintyre Peninsula, with 20 working in 1885. By 1930 that figure had fallen to just three, and the last two survivors, Glen Scotia and Springbank have endured long periods of silence at various times in their history. The demise of Campbeltown was directly related to the rise of Speyside as a favoured distilling destination. Campbeltown produced big, pungent whiskies, not always of the finest quality in the early years of the 20th century, and its remote location counted against it in terms of transporting whisky to the blending halls of the Scottish Central Belt. By contrast, Speyside single malts were stylistically ideally suited for blending, and an expansive rail network linked the distilleries of the north-east with the blending halls of Perth, Edinburgh and Glasgow. Elsewhere in Scotland, casualties in the far north included Dingwall’s Ben Wyvis (1879 – 1926), the Easter Ross duo of Pollo, which operated from 1817 to 1903, and Glenskiach, operational between 1896 and 1926, and Gerston at Halkirk in Caithness (1886 – 1911). Up on Orkney the Stromness distillery of Man O’ Hoy ended more than a century of whisky-making in 1928, and Islay’s Lochindaal shut its doors in 1929, after precisely 100 years of activity. Aberdeen lost its trio of distilleries – Bon Accord, Devanha and Strathdee – and Glasgow’s tally of newly-silenced distilleries embraced Adelphi, Camlachie, Provanmill and Yoker. It is worth remembering that those distilleries named above hardly scratch the surface of whisky-making operations that perished before the outbreak of the Second World War in 1939. From the 1950s onwards the Scotch whisky industry began to revive, and new distilleries were constructed, while existing ones were enlarged. It was just like the late Victorian era all over again, and once more the bubble was to burst. Over-production led to a ‘whisky loch’ to rival the famed EU ‘wine lake, and in 1983 the biggest player in the industry, the Distillers Company Ltd (DCL) closed 11 of its 45 malt distilleries, with a further 10 ceasing production two years later. Seven of these sites subsequently re-opened, but it is single malt from the other 14 DCL distilleries which makes up much of the ‘silent still’ whisky being traded today. Among the brands in question are the sought-after Brora and Port Ellen, along with ‘supporting players’ like Banff, Convalmore, Glen Mhor, Glenury Royal, Millburn, North Port and St Magdalene. Since 1985, distillery closures have been relatively few and far between, but Imperial on Speyside met its demise in 1998 and Caperdonich in nearby Rothes closed in 2010, while a few miles away in Dufftown, Pittyvaich was demolished in 2002, having only been built in 1975. The highly-prized Lowlander Rosebank ceased distilling in 1993, while fellow Lowlander Littlemill closed in 1996, having been established as early as 1772, and Lochside in the east coast port of Montrose was silenced in 1992, having been converted from a brewery during 1957. There have, of course, been altogether more exotic losses, including the fabled Malt Mill, produced in a tiny distillery adjacent to Lagavulin on Islay from 1908 to 1960 and the subject of the 2012 Ken Loach movie The Angels’ Share. Other relatively obscure malt distilleries to disappear were constructed within grain distilleries to provide variety for blending purposes, and all were removed at a later date to increase grain distilling capacity. Five such ‘distilleries within distilleries’ were created, namely Ben Wyvis (Invergordon distillery, 1965 – 1976), Glen Flager and Killyloch (Garnheath distillery, 1964 – 1975 and 1964 – 1985 respectively), Inverleven (Dumbarton distillery, 1938 – 1991), Kinclaith (Strathclyde distillery, 1957 – 1975) and Ladyburn (Girvan distillery, 1966 – 1975). While spirit quality is one of the key factors in a whisky’s appeal to collectors and investors, having sampled the five whiskies in question, it has to be said that rarity and obscurity plays a greater part in their collectability. Not all whisky made in silent stills was superb. Sometimes, that was why they closed! 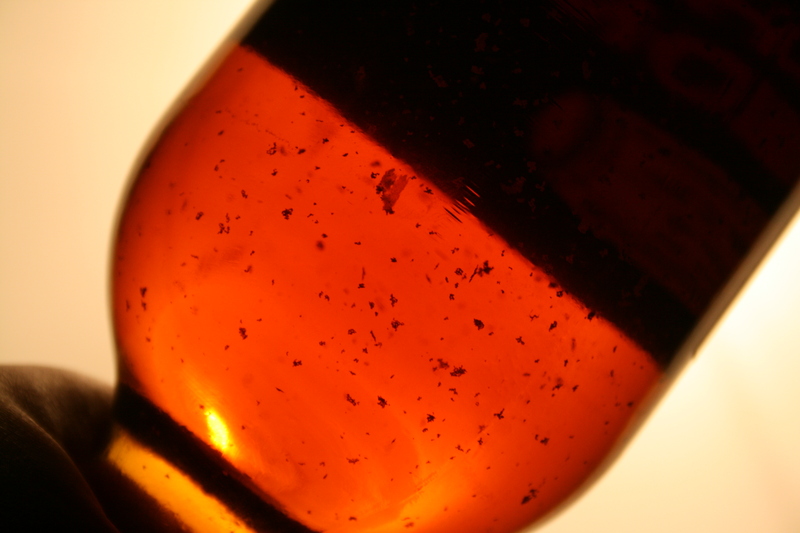 What is the sediment, haze & precipitate material in very old, sherry matured whiskies and is it bad for you? David – With very old whisky oxalic acid has been leached out of the casks over an extended time period and this is particularly true when Spanish Oak Sherry casks are used and may thus cause a white crystalline precipitate to occur. The science is well understood and can be explained that during the maturation period the oxalate ion precipitates out with calcium to form calcium oxalate (crystal deposits). With the addition of any calcium ions during addition of reduction water (to reduce the whisky ABV from natural cask strength to bottle strength) and any filtration and any other increase in pH that can occur during finishing and bottling it can take up to a year for the calcium oxalate to precipitate. The complex nature of calcium oxalate instability that leads to precipitation is dependent on the temperature and alcohol concentration of the whisky. Since stable environmental conditions may only occur once the whisky is bottled and released commercially it can be hard to predict how these products will behave. And indeed, it may take months, if not years, for the crystal agglomerations to reach a size to be seen by the naked human eye. The industry is well aware that many very old, sherry matured in origin single malts, can throw a crystalline precipitate of calcium oxalate. Many examples of this exist with Macallan Anniversary 25 years old, Macallan 30 years old, Dalmore 40 year olds, G&M vintage whiskies from the 1930s, 40s, 50s and 60s etc. It’s a very common occurrence and provides proof of the natural sherry matured, gently filtered long aged nature of the resulting product. Customers must realise that we are dealing with a traditional product, made from natural ingredients, from which the alcohol produced is distilled and then filled to oak casks without any intervention that would detract from the final product quality. Aged Scotch whisky may therefore be compared with fine port and some of France’s world famous clarets where, for example, significant precipitation occurs. Whisky may be decanted by the end user as one would a fine port or wine. Ingestion of the calcium oxalate crystals would not pose any toxicity problems as calcium oxalate is found in many foods and drinks in far higher concentrations typically 1-10 mg/litre for whisky and 1400 mg/litre in chocolate and 330 mg/l in tea. Andy – So that’s the why and how done; but does this sediment serve any other use? With older bottles of heavily sherried whisky I always look for sediment to be present. 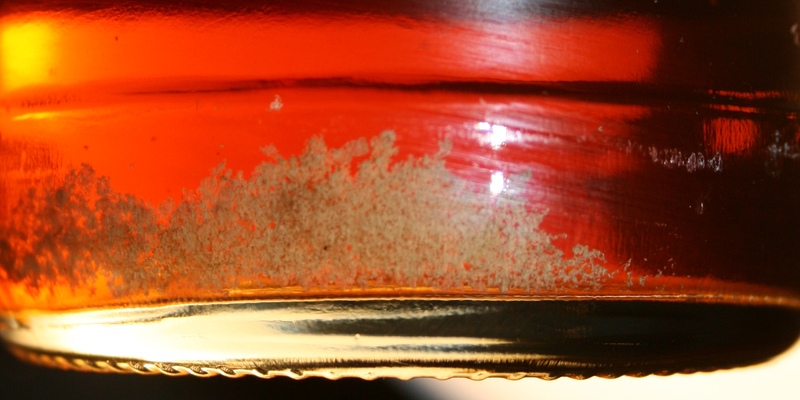 While not definitive, as we’re dealing with many variables around the liquid and also how the bottle’s been stored, the presence of sediment is a good indication that the whisky is genuine…. Or at least it’s pretty old sherried stuff. When I’m appraising a collection of older bottles, if I don’t see the ‘sludge-of-certainty’ it rings alarm bells and at least warrants digging a bit more into the provenance of the bottle. 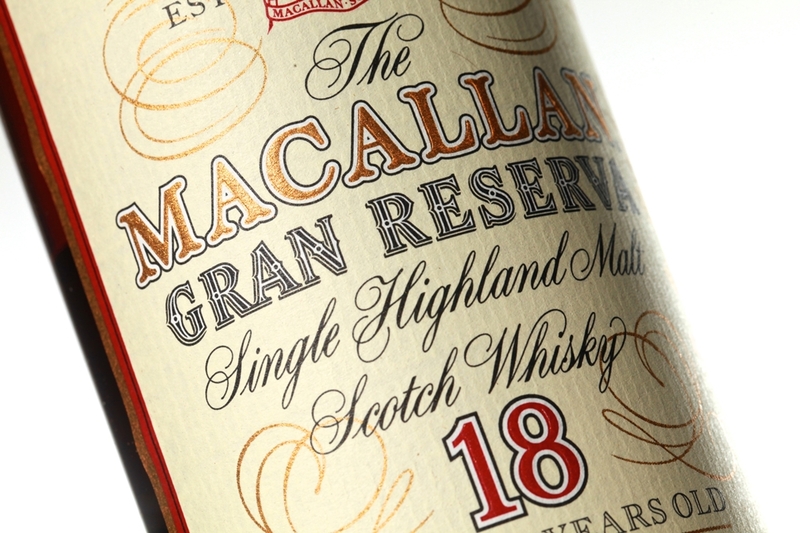 The 1979 18 year old Macallan Gran Reserva – The Birth and Growth of an Iconic Whisky. David talks through the creation of the Macallan Gran Reserva then Andy looks at its collectors credentials. DAVID – It was summer of 1996 and Macallan was under new management. As a result of the take-over by Highland Distillers the challenge we were presented with was to develop a heart-n-mind capturing new release for the global markets. Having had experience and a good understanding of the stocks since joining Macallan in 1994, I knew that 1978, 1979, 1980, 1981, 1982 and 1983 were halcyon years. After conducting an extensive cask sampling and assessment programme we landed on creating a vintage first fill Spanish oak release – like the usual Macallan … but on steroids! Gran Reserva was 100% first fill whereas our usual 18 year old was a mix of first and second fill. To get the balance we wanted, we used casks which had previously contained a broad range of different sherries (dry oloroso, sweet oloroso, amontillados). We also did some wood analysis at the time and discovered that Eugenol, a clove like tannin, was a key marker for ‘high tannin potential’ oak and was correlated with the deep rich red colour, aromatic spices and syrupy textures/mouth feel we wanted. From memory, for the first release – a 1979 18 year old – We selected around 50 first fill sherry butts and released somewhere in the region of 3,000 (12 bottle equivalent) cases – mixed between 75 cl and 70 cl. Personally I loved the whisky, it was my first real ‘white space’ creation so I bought 8 cases – In staff sales it was selling for around £45 per bottle and was launched with a suggested retail price point of £65. Of these, I only have a few bottles left and they will now be saved for very special occasions. 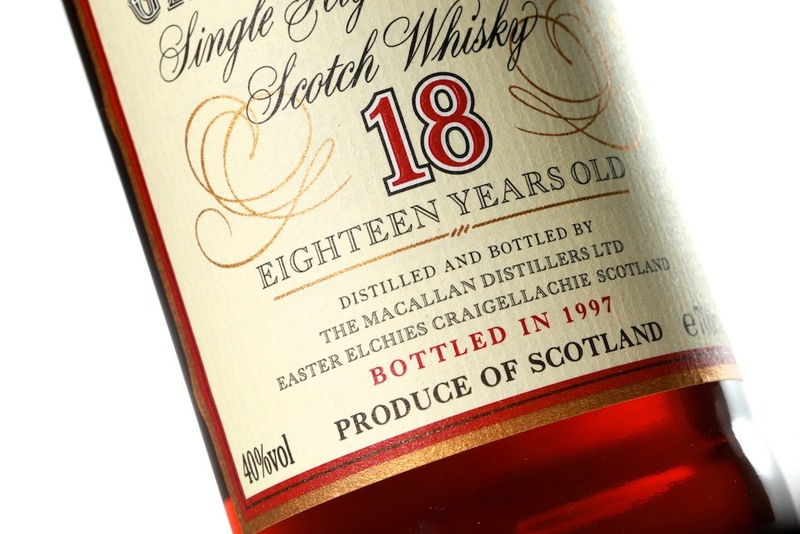 My friends and family were gifted many bottles in the late 1990s and I recall consuming a couple with my father at the ghillies cottage at Macallan when we watched Hearts thrash Rangers two – one in the Scottish cup. We got off to a flying start as Cameron scored a penalty after the first two minutes. That marked the opening of the first bottle and I very quickly had one less in my collection. Poor Rothes was the town we chose to celebrate in after the win! Not only was the Gran Reserva one of my favourite all time whiskies, I was also forcibly made to travel the world launching the Gran Reserva 1979 to a global audience. Imagine the utter hardship as I had to endure drinking this stuff morning, noon, afternoon and night as we travelled throughout USA, Canada, Europe and Asia showcasing it to my fellow whisky fans. A complete nightmare of a time in my life, as I’m sure you’ll agree!!! Over the years I think I’ve drunk maybe 60 or so bottles but my favourite memory was developing a perfect end to a perfect meal in perfect company. Our dark chocolate mousse dessert was accompanied by a ‘dessert’ dram as well as a drinking dram. The dessert dram was poured over the mousse before we ate it… just delicious. It’s one of those small things but it became a real standout moment for me. As would be expected, and for so many reasons, the 1979 Gran Reserva still sits in my top 10 whiskies. Others include the Caol Ila Managers Dram, Macallan 30 yo Blue Box, Brora 30, Dalmore 1973 Cab Sauvignon. Sadly but inevitably, all good things have to come to an end. The Gran Reserva was discontinued once we ran out of stock from that first and only 1979 vintage. Given it was such a success we were asked to repeat the feat and subsequently released the 1980, 1981 and 1982 vintages. I obviously enjoyed these other vintages but the 1979 just edges it for me. Being the first release it’s also hugely sought after – a bit like Balvenie Tun 1401 batch one. In terms of what it’s like? While I haven’t had a tot of this for a wee while, I know the liquid intimately. My lasting memory is one of rich dried fruits, raisins, dates and prunes to the fore. The fruits are set against an intense background of tannic spice majoring on cloves, cinnamon, ginger and some cracked black pepper. This is then balanced with dark chocolate, citrus orange peel and sweet hints of red fruits and vanillin. Now where are my last few bottles!?….. ANDY – 1970’s distillate, first release, heavily sherried and from The Macallan… Let’s be fair, this was never destined to be left languishing on shelves gathering eons of dust like a Mannochmore Managers Choice. With a relatively small number of bottles released, of those 36,000ish bottles there will now be a tiny fraction left (Snow Phoenix had just over 60,000 bottles released)….. My esteemed colleague gave it a good go to remove as much as he could from the market, so many more will have done so too. It’s scant surprise this bottle’s seen massive demand and steep price increases over the past few years. Its appearance at auction in comparison to the market in general is declining. Broad-based supply (the number of ALL collectable bottles hitting the UK auction market) is increasing at around 50% per year and has done for the last 5 years. The number of Gran Reserva 1979’s seeing the market is in decline, relatively speaking. In 2011 there were 19 sold at auction, 2012 saw 25, 2013 saw 33 and so far this year we’ve seen 25 (so we’re on track for 33 again this year). If general market increase dynamics are applied to this release then we should have seen – 40 in 2012, 60 in 2013 and around 90 bottles already in 2014…. Similar to, but not as severe as Black Bowmore – Bottled stocks are declining. Values have increased rapidly in positive correlation to diminishing open market supply. The index below shows the growth in value of the 1979 vintage compared to all Gran Reserva vintages from the end of 2008 to September this year (the ‘All Gran Reserva’ index still includes the 1979 too). While the 1979 is somewhat spikey, it’s still outpaced the general growth of all Gran Reserva’s by over 100%. Current values place the 1979 at around £800 to £1,000 at auction with a 12 month low of £500 in February this year and a 12 month high of £1,300 in June this year. The 12 month average is £817. Good growth when you look at the 2008 12 month average which was £220. 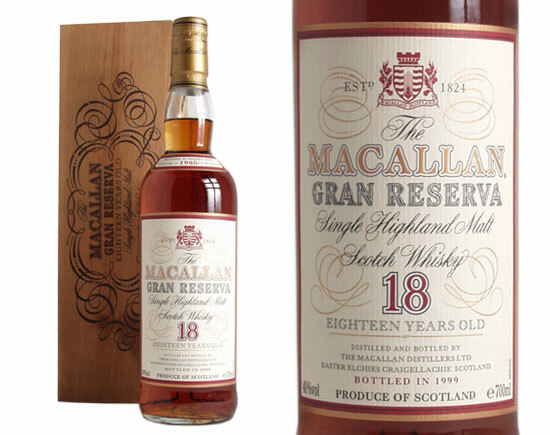 Taken in comparison to the standard 1979 18 year old Macallan it seems like ‘Macallan on Steroids’ has a significant lead. 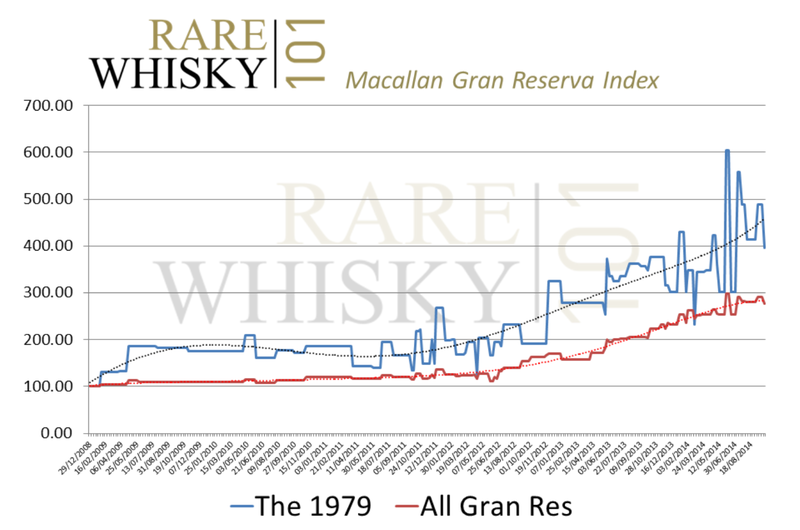 The current 12 month average of the standard 1979 18 year old is £401, leaving the Gran Reserva at more than double the standard bottles performance. 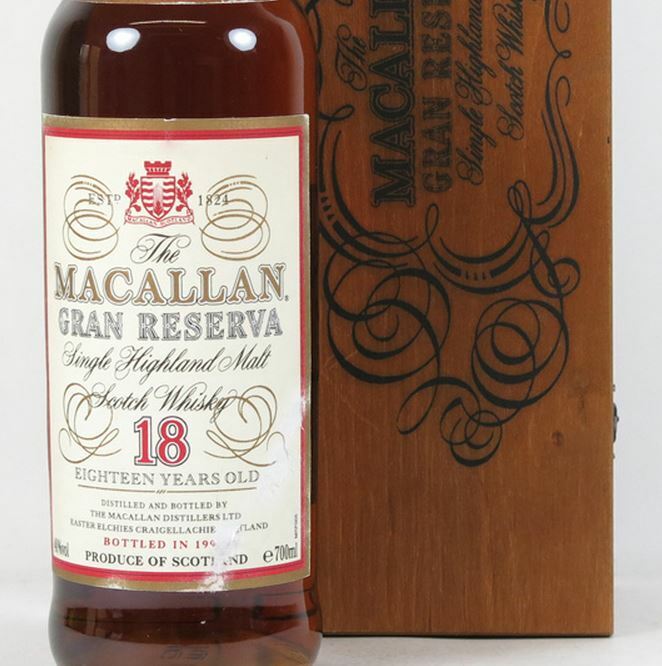 While it’s impossible to forecast forward what will happen to the value of anything, let alone just one bottle variant of Scotch; when you look at the diminishing supply relative to the rest of the market coupled with the exceptional quality of the liquid, The Macallan Gran Reserva looks like it still has legs. This is undoubtedly one of the iconic collectibles; the only question is how far can it go?